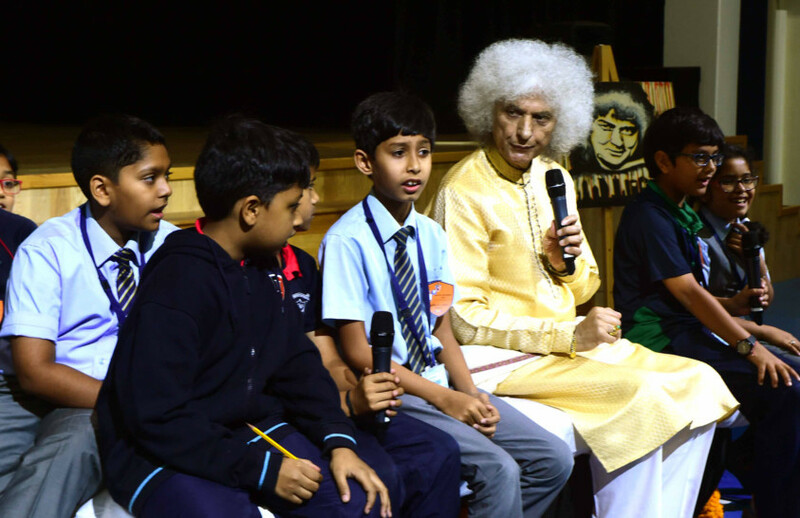 Dubai: In a stimulating, one-hour session held at the Gems Heritage Indian School Thursday, India’s celebrated music maestro, Pandit Shiv Kumar Sharma, interacted with students from grade 1-5. 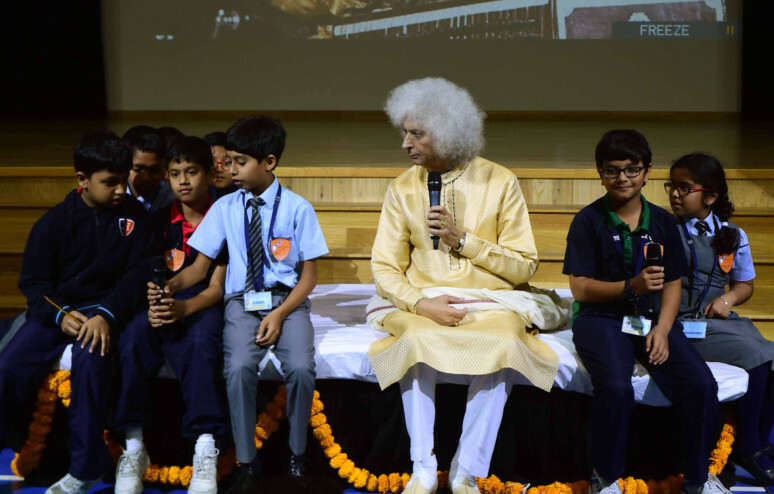 The santoor (a string instrument) maestro taught students the importance of rhythm by actually singing extempore, leading to lively interactions between the musician and his young audience. The students were motivated to enjoy active exercises in music and rhythm. Learning Indian performing arts was not only an engaging activity for students but was also aimed at helping develop focus, self-esteem, boost confidence and impart life skills, Sikidar said. It also has the potential to improve academic performance, he added. Pt Sharma will be giving a santoor recital at the Dubai Opera on Friday evening (February 8). Who is Pandit Shiv Kumar Sharma? 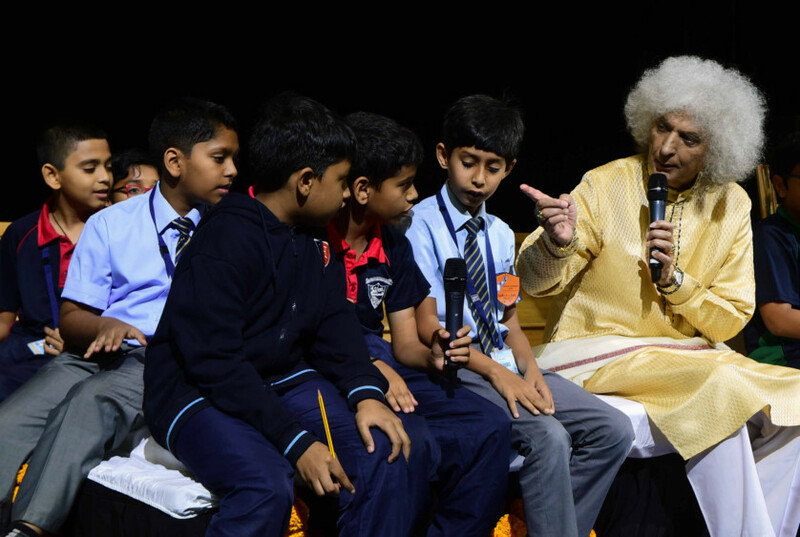 Pandit Shiv Kumar Sharma, 80, is accorded the credit of transforming the santoor, a humble folk string instrument, into a popular classical instrument. Traditionally, the santoor is a 100-string instrument, used as an accompanying instrument by the folk and Sufi singers of Jammu and Kashmir. But Pandit Sharma experimented with it, added an additional 16 strings and transformed it into a solo concert instrument. Belonging to the state of Jammu and Kashmir, Pandit Sharma was groomed in the best traditions of Hindustani Classical music under the tutelage of his father Pandit Uma Dutt Sharma. The recipient of India’s second-highest civilian award of Padma Vibhushan, Pandit Sharma is both an instrumentalist and a music composer and has earned several accolades for this dedication to the cause of music.